Think about your environment before you go. Will you be hiking over rough terrain? Consider a dust-proof, impact-resistant case. At the beach or pool? A waterproof case will offer you a lot of peace of mind. If nothing else, pop your phone into a zip-top plastic bag before you hit the beach—but remember this is not a foolproof solution. Consider situations where you shouldn’t take your device. Some environments may be too extreme or too dangerous for your phone. Sometimes it may be too hard to protect it from water, heat, dust or sand. When in doubt, leave your mobile device locked up safe at home. Pay attention when you’re traveling. When you’re out of your routine, it’s easy to misplace your phone. Always double-check before you get out of an airplane, cab or up from a restaurant table—do you have your phone in hand or see it in your bag? Never leave your bags unattended even for a moment in a public place, and use a hotel safe if you need to leave your mobile device in your room. Watch out for heat. Summertime heat can be a big problem for mobile devices. If your phone gets too hot, turn it off right away. Blowing on it, or holding it in front of a fan or air vent can also help bring it out of dangerous territory. Let it cool down to normal temps before you turn it back on. Get the most out of your travels with your phone. 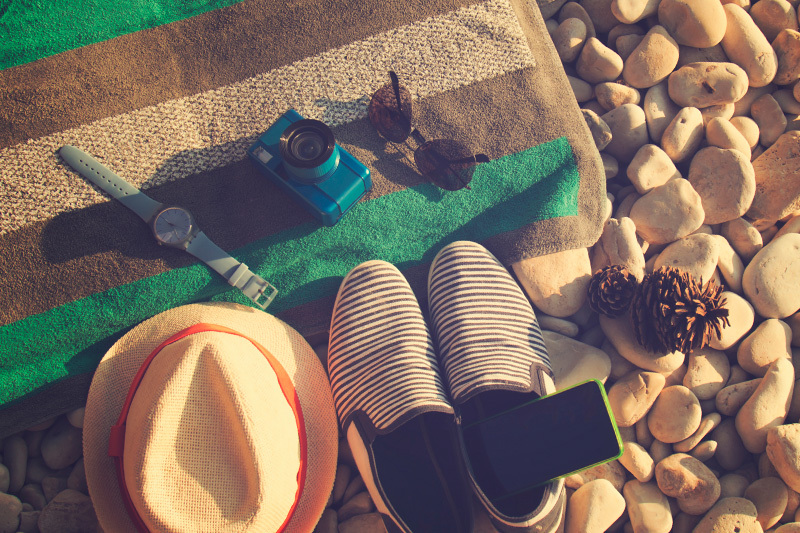 All that said, your mobile device can make your summer travels easier and more fun. Download the apps for your airline, rental car company, and hotel. And don’t forget these ideas for great apps to make travel more fun. If these tips fail, protect yourself against the worst-case scenario with a protection plan from Asurion to ensure your mobile device can be quickly repaired or replaced. Check with your wireless carier or retailer to make sure you’re covered.